My friend Beth M always catogorizes friends into three groups: friends, good friends and friends you would travel with. The last group is the biggest complement because it means that you like your friend enough to spend tons of time together for days on end. We are so lucky that we have lots of friends that fall into that last catagory. 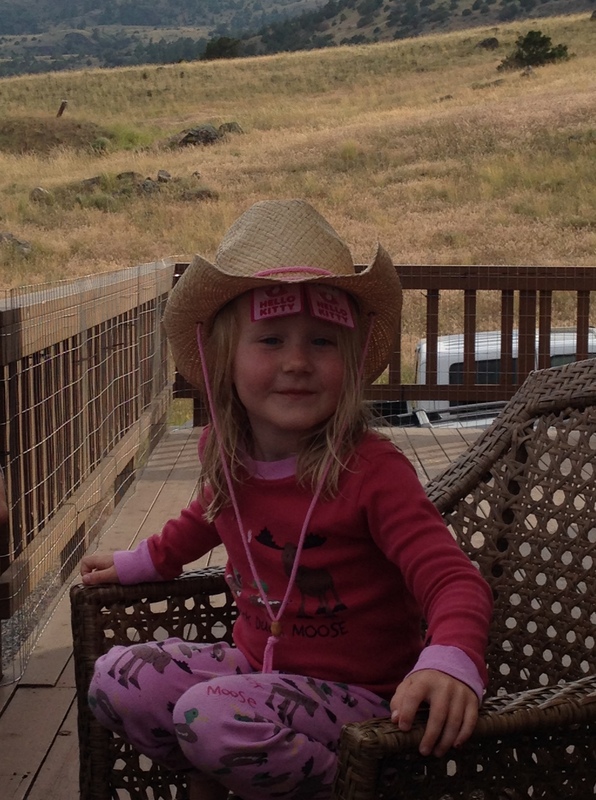 And this summer, we were lucky enough to have our friends, the D family, came to visit us in Montana. 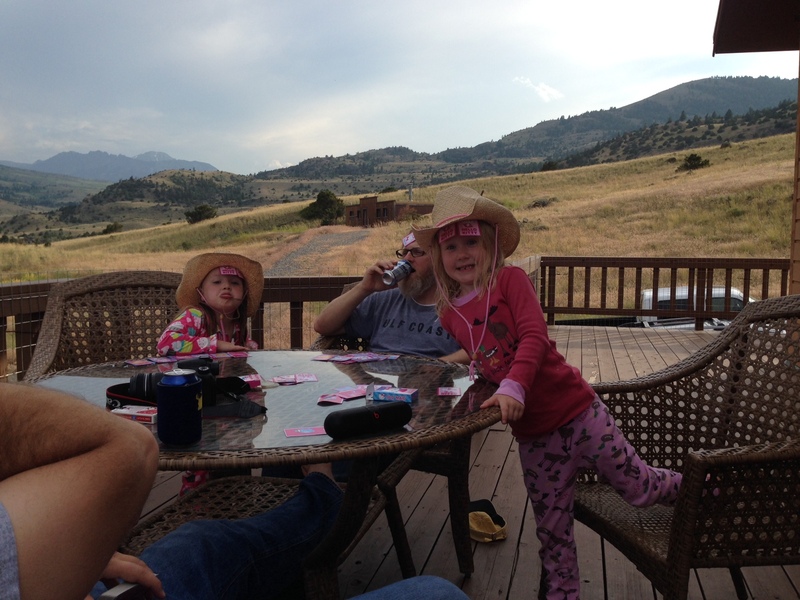 As if we couldn’t love this family more, after sharing a glass of wine in Big Sky Country really put it over the top. One of the best parts of having them visit was that their daughter, Morgan, shacked up in Baylor and Auggie’s room each night. And they. all. slept. Like all night. So clearly we have to move in together. We did a little of everything – rafting, hiking (well, tried to, that’s a long story), Yellowstone Park, roamed around Livingston, and just enjoyed laughing with each other. It was a fantastic week! I can’t stand this picture. It kills me. 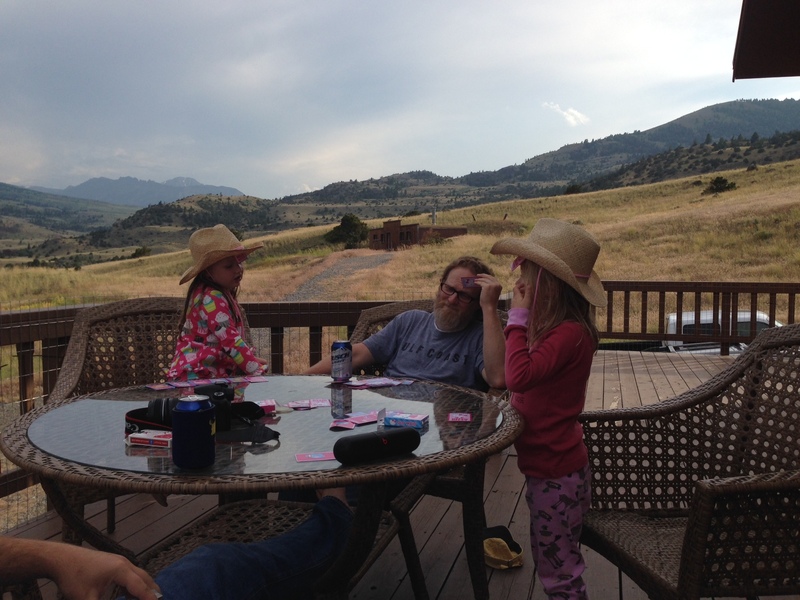 The girls are THRILLED to be playing the hardest game of Go Fish (no numbers, only names, they can’t read. You get the picture.) ever and Jeff is physically in pain over it. I’m laughing as I type. More to come on our Griswald-esk trip through Yellowstone National Park. Ahhh! That’s so nice friend! And the pictures are hilarious! Thank you for sharing. We LOVED our trip and thank you for inviting us!